We hammer and hammer the fact that all fiat currencies reach their intrinsic value of zero. 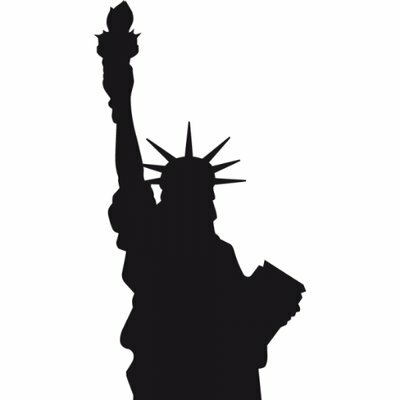 There are only two things that are money, and have served as money and stood the test of time for 5000 – gold & silver. Here’s an update on the death of the dollar from Dave and Edward. It is no longer “if”. It is a question of “when”. It appears that Trump is no longer the president with the fastest plunge in his approval rating: that honor has now fallen to France’s Emanuel Macron, who since his dramatic victory in the May 7 presidential election, has seen his popularity plummet, and according to a a new poll conducted by Ifop for Le Journal du Dimanche, most French voters are now dissatisfied with Emmanuel Macron’s performance, a dramatic decline for the president who basked in a landslide election victory less than four months ago. The poll showed Macron’s “dissatisfaction rating” soaring to 57%, from 43% in July. At the same time, those satisfied with Macron tumbled from 54% in July (and 62% at election) to just 40% in August, a stunning 22% drop over three months… which is twice as fast as Donald Trump’s fall from grace. According to Gallup, on Inauguration Day, 45% of Americans said they approved of Trump and since then, the number has declined by 11% to 34%, which again is only half as bad as Macron popularity plunge. The Ifop poll also showed the cumulative drop in Macron’s popularity ratings since May was far bigger than that of previous Socialist president Francois Hollande over the same period, who is best known for achieving the lowest approval record of any recent French president on record. As such, one wonders how Macron’s approval rating in a few short years can even be positive. Quoted by Reuters, French government spokesman Christophe Castaner said the ruling party was going through a “tricky time”, but added that displeasing some people was a price worth paying if the government wanted to push through reforms. The only problem is the government will most likely not be able to push through reforms, even as Macron’s approval continues its sharp descent. Cartaner also told BFM TV that “yes, we are encountering difficulties, but you cannot just spend your time only looking at polls when you’re in government. We are there to transform the country. Our country needs us to take risks, and we are taking risks.” Spoken like a true megalomaniac. As for Macron – who is currently midway through a schedule of official visits to various European capitals and who most recently got into a violent feud with Poland when he criticized the Warsaw government for its “non-European ideals” to which Polish PM Beata Syzdlo slammed “arrogant” Macron saying “you won’t rule Europe” – has suffered a number of setbacks since being elected, including tough debates in parliament over labor reform, a standoff with the military and cuts to housing assistance. Then, just last week, Macron became the target of social media scorn and humor, while political opponents criticized the president when it emerged he spent €26,000 ($31,000) on makeup during his first 100 days in office and his office also backed down on plans to give his wife a formal, paid role after a public backlash. In any case, the latest polling is terrible news for the young new president who was expected to inspire his country with hope and confidence yet appears to be doing just the opposite: Bernard Sananes, head of French polling company Elabe, said the latest survey could encourage Macron’s political opponents, after his party won a commanding majority in parliament. “It could mean, for the government, that the opposition mobilizes itself again,” Sananes told BFM TV. It wasn’t just Macron: the poll also showed a steep drop in approval for Prime Minister Edouard Philippe, with 47% expressing satisfaction with him – down 9% from last month. As Reuters adds, Macron – France’s youngest leader since Napoleon – faces a big test next month when the far-left CGT trade union leads a rally to protest against plans to deregulate the jobs market. “Now is the key time, with the labor executive orders to be presented,” said Francois Savary, chief investment officer at Geneva-based investment firm Prime Partners, who has an “underweight” position on French equities. The White House is accusing Senate Majority Leader Mitch McConnell of waging a clandestine smear campaign against President Donald Trump, leaking sensitive internal communications shared with the President to the New York Times and possibly other media, according to administration officials. The honeymoon — if you can call it that — appears to be officially over for the GOP leaders. And that might be a very bad thing for McConnell whose popularity is sliding in his home state of Kentucky. According to White House insiders, President Trump was furious when the New York Times published a long hit piece on the president’s growing feud with McConnell. The piece included detailed communications between Trump and McConnell that, according to White House sources, were almost verbatim. Moreover, it is believe the article was timed to try to steal some of Trump’s thunder from his Monday night address to the nation on military plans in Afghanistan, officials said. At a time when Trump should have been celebrating his speech from Tuesday night in Arizona — which likewise was well received by supporters — the mood on Wednesday was tamped down by the realization that the GOP leader had ratted out and betrayed the GOP President of the United States to the house organ publication of the Democratic party: The New York Times. 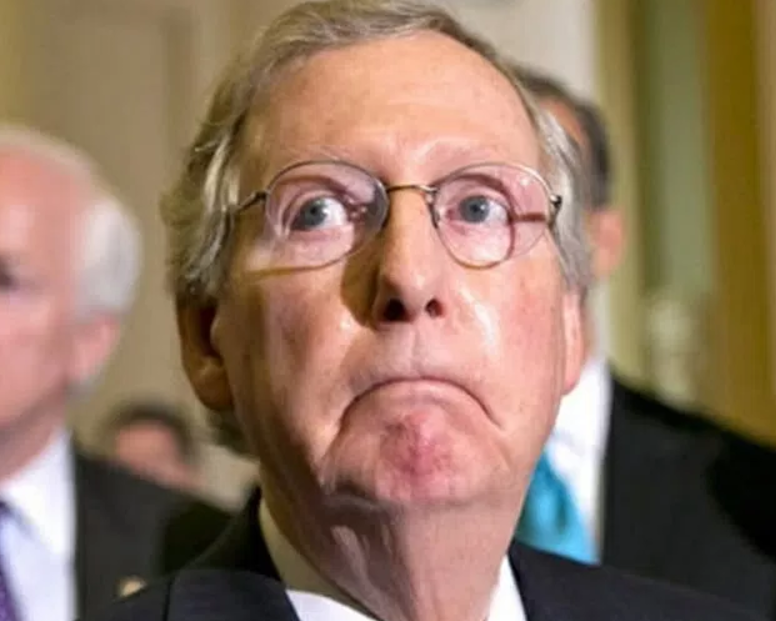 Stopping just short of calling the Kentucky Senator a rat, True Pundit’s White House sources said McConnell either leaked the information to the Times himself or instructed aides to do it for him. Either way, they said, the Senate leader no longer deserves blanket trust from the Trump administration. White House aides stress The New York Times had written very few stories — if any — citing details of McConnell’s telephone conversations with anyone else in Washington before his feud with Trump’s presidency. Mr. McConnell has privately expressed uncertainty that Mr. Trump will be able to salvage his administration after a series of summer crises. Sen. McConnell could not be reached for comment. Dollars are created as debt. More dollars in circulation = more debt. More debt means consumption is “pulled forward” from the future so consumption can occur now. This usually ends badly. Commercial banks and central banks have created trillions of new dollars. Each new dollar devalues every other dollar currently in circulation, in savings, and in pension accounts. Prices rise! Wars are costly, kill people and produce little. Governments like wars because they create demand for production of war materials. More production means a higher GDP (even if the concept means little). Politicians point to higher GDP and claim it is good. More production creates employment. Everyone wins, unless the bomb fell on you. Unless the drone targeted you. Unless you live on a fixed income and prices continue to rise. Unless you are a soldier and were injured or killed. As dollars are devalued, prices rise for most goods and services. Yes, televisions are less expensive, but have you checked the price of beer, medical care, cigarettes, cars, Whisky, college tuition, food, and 101 other items we need? As dollars are devalued, the price of silver rises. Each dollar buys a smaller piece of silver. Wars burn many dollars, many ounces of silver, and consume other commodities, which rise in price. Demand for silver increases, dollars buy less, and supply increases slowly, if at all. Prices for silver rise because of supply, demand, and devaluation. The DOW is higher because each dollar buys less. Central bank “printing” of many extra dollars supports the DOW. Wall Street hype helps also. Regardless of the hype, a good crash occurs every decade or so, and after the crash the stock market rises again. Most people buy high, watch it crash, and sell low. How many people will take profits near the top in this market? BUY SILVER! As prices rise, shirts cost more. Debt, dollars, DOW, war, silver, and shirts are connected. They rise and will continue to rise, two steps higher and one lower, as long as we use debt based fiat dollars. Money supply and debt increase. Look at official national debt since 1913. Can you think of a single reason why it will reverse a century-long exponential trend (debt doubles every 8 to 9 years) and turn lower? Wars will continue and prices will rise. The helmet for an F-35 will cost $400,000. The price for a World War II P-51 aircraft was $52,000. Silver prices have increased for 90 years and will continue to increase. The price for shirts is higher, much higher. Dollar devaluation increases prices. Debt, dollars, DOW, war, silver, and shirts are connected. Reduce Federal government expenditures, declare peace, balance the budget, let it crash … and DREAM ON! More of the same. More debt, dollars in circulation, continuing wars, and higher silver prices. Shirts will cost $500 instead of $1.00 in 1934 and $175.00 today. Option Two – so what? Taxes increase as dollar devaluation continues. Can you afford higher taxes? Will your income rise enough to meet your increased expenses and higher taxes? Will Social Security and your pension pay you in mini-dollars, or micro-dollars? Can you live on pension payments denominated in micro-dollars? Prices for food, housing, transportation, clothing and most other items will increase. Believe the “low” consumer price inflation myth at your own peril. The future may look like the 1930s – where debt killed. Or, more likely, it will look like the 1970s – continual price increases, stagflation, weak economy, rapidly rising gold and silver prices, and increased global stress. My bet is 1970s inflation and worse. Do you own due diligence but remember dollars will be devalued further and higher prices are inevitable. Do you own enough silver? Futures Now: Gold shines from CNBC. The 50-day moving average is just average to the cartel, and it can be muscled at will right now. We really don’t want to stay under that level for much length of time. Rather, look out for $16.09. It is unfortunate to think of $16 silver, but I can’t be the bearer of better news. If silver is smashed like we think it will be, now would be the perfect time to buy the dip. There will not be many more opportunities to buy sub-16 silver, and tomorrow may just be one of them. Get ready for the full brunt of the Federal Reserve, the Exchange Stabilization Fund, the Bullion Banks, and everybody else who has a stake at slamming a few cheap shots at sound money. With geo-political and domestic tensions running high, Gold & Silver and Bitcoin all jump, but why do gold and silver prices get smashed back down, despite Bitcoin's relentless advances? What mega factors are driving these mysterious markets, and what can the ordinary person do to reduce risk and take care of protecting their finances? Craig Hemke, founder and host of TF Metals Reportm, an astute observer and analyst of economic and precious metals markets, drops by Reluctant Preppers to give us a flash primer of the key drivers he watches, for clues of where gold & silver are heading next. Hemke also weighs in on successful entry and accumulation strategies for those wanting to grab a stake in Bitcoin or other cryptocurrencies' future growth, and why we need to watch out for government and bank regulations that could stifle this latest free market. Geopolitical turmoil is causing a "flight to safety" and putting pressure on the gold cartel's ability to manipulate the gold and silver prices. Trump’s unprecedented comments regarding North Korea earlier this week shook the markets, shooting the CBOE Volatility Index to nearly a ten month high. The Dow is down over 200 points this week, and precious metals rose steadily. Physical demand for precious metals is hampering the gold cartels ability to manipulate prices, says Fund Manager David Kranzler. Eric Dubin agrees the gold cartel is having a hard time keeping prices down. Until proven otherwise, Bitcoin, and all cryptocurrencies for that matter, are faith-based “currencies,” just like the U.S. dollar or any other fiat currency. Instead of “full faith and credit of the U.S. Government,” cryptocurrencies require full faith in blockchain technology. The Daily Coin posted an interview with Ken Schortgen of The Daily Economist in its revealed that: “The NSA developed blockchain technology and released the information in a white paper that has been uncovered by Ken Schortgen, Jr., The Daily Economist – LINK.” The white paper can found here: How To Make A Mint: The Crytotography Of Anonymous Electronic Cash – NSA, Cryptology Division, June 18, 1996. Built to be skeptics, we have been wondering why Governments and Central Banks tolerate Bitcoin and all of the other cryptos if indeed the cryptos are the digital equivalent of the gold standard. As it turns out, the NSA de facto has the ability to hack crypto blockchains. We are certain the NSA is not the only entity globally with that ability. Furthermore, the cryptocurrencies are absorbing a lot of fiat currency that likely would otherwise be flowing into gold and silver. It reminds us of GLD and SLV, both of which have absorbed billions of institutional cash into two “black hole” vaults that have yet to withstand a bona fide independent audit. In this episode of we bravely shred the Bitcoin and cryptocurrency mystique, which are more emblematic of the global asset bubble than a suitable substitute for gold and silver’s monetary function. With stocks and house prices hitting all time highs, should you stay invested in the market to grow your nest egg, or cash out and get out of the casino before everyone recognizes the coming collapse? What are the tell-tale signs just before a massive collapse? Former chairman of the Federal Reserve Alan Greenspan issued an epic warning Aug 1 2017 that the debt is in a bubble, the market is not recognizing the bubble, and how it all comes crashing down - step by step! 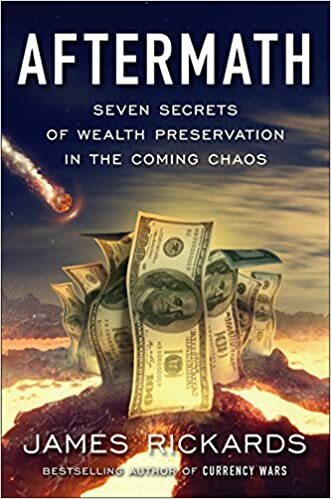 Widely followed financial analyst Gregory Mannarino, founder and host of TradersChoice.net, rejoins Reluctant Preppers to lay out the real and present danger posed by unprecedented sovereign debts and central bank buy-ups of all assets, and what a preparedness-minded person must do to recognize the anatomy of a bubble and protect themselves from financial annihilation! Styxhexxenhammer discusses how congress is attempting to push America into a second Cold War. While President Trump on the other hand is attempting to warn the American population about this reality. Will he be able to stop them? We shall see. Joe Salerno of Mises Institute discusses the classic historical gold standard in great detail. Is it a better system than the horribly flawed fiat system we currently find ourselves under? You better bet it is. The price of gold could see substantial upside as the U.S. dollar index continues sliding in value, some strategists are forecasting. The greenback has declined nearly 9 percent against a basket of foreign currencies year to date as the likelihood of parts of President Donald Trump's economic agenda getting underway has been called into question, and the prospect of further interest rate hikes from the Federal Reserve has pulled back. The dollar index could certainly drop to the 92 mark (about 1.5 percent below its closing price Wednesday of 93.40), said Phillip Streible, senior market strategist at RJO Futures. And though these levels are important to watch in the dollar, what's more interesting to him is the impact on gold prices and other commodities. "We could really see other markets, like gold, push up through that $1,300 level. We could see silver recapture $18. We could see oil prices — they've already got some bullish fundamentals buoying them — but with the dollar selling off like this, you are probably going to see that … recapture $50 again," he said Wednesday on CNBC's "Trading Nation." Gold rising to $1,300 per troy ounce would imply about 4 percent of upside from its settle price Wednesday of $1,249.40. As the relative value of the U.S. dollar falls, the price of gold and other dollar-denominated assets typically rise. Of course, the currency and the commodity can also rise in tandem. In fact, Citigroup research analysts in March argued that the correlation between the U.S. dollar and commodities is effectively gone. The dollar index was trading near 13-month lows by Wednesday's market close; the index has been consolidating in a range of about 92 to 100, pointed out Piper Jaffray chief market technician Craig Johnson. This relative weakness in the dollar, Johnson said, has certainly helped base metals and boosted the energy sector quite a bit, too. "We had a little bit of a fake topside breakout earlier in the year, in the dollar, but now we are coming back down in the lower end of this trading range and really re-testing this. From my perspective, we are going to test 92," Johnson said Wednesday on "Trading Nation." The dollar index fell following the Federal Reserve's announcement Wednesday afternoon that it would leave its federal funds target rate unchanged, and that the winding down of its balance sheet would begin "relatively soon." Johnson said the 92 mark, echoing Streible's outlook, is a meaningful level for the dollar index at this juncture. "If we start breaking below that, I think you are going to see some consequences where people are going to really start to question the economy, the strength in it… but at this point in time I would be waiting for that confirmation at 92," he said. In this episode of the Keiser Report’s annual Summer Solutions series, Max and Stacy talk to Jaromil of Dyne.org about how to make bitcoin great again. As the great blocksize debate of bitcoin spills out into all out civil war, what are the solutions on offer and what exactly is the solution at the heart of the reason for bitcoin? They also discuss the flippening, ethereum and initial coin offerings and whether or not they are offering any solution to a real world problem.